Devil's Gorge Run | KUMSHEEN | Raft. Relax. Recharge. Your entire staff from the ladies who answered the phone, Charles our bus driver, the girls at reception, Conor and especially Braden our guide, were outstanding! KUMSHEEN’s most action-packed river trip. This famous stretch of whitewater is synonymous with the Thompson River and perfect if you don’t have time for a full day or longer trip. 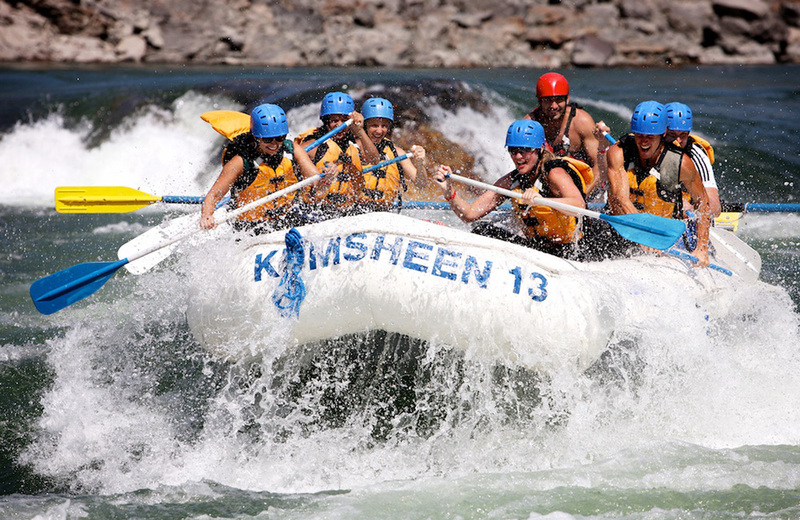 It’s our no-frills/all thrills excursion through the 18 rapids that made rafting in the west famous. We bus you from our resort to Nicomen Falls, you board your power or paddle raft after a detailed safety talk, and you’re then immediately into The Frog, the first rapid in the Devil’s Gorge, with 17 rapids to follow.